1 .) Purchase a copy for yourself– if you live in near Metropolis, IL just stop by First Baptist Church this Sunday and buy a copy. If you live outside of my local area you can order the book by clicking here or through Amazon.com. Please remember that during the month of May all the profits from the sale of the book are going to be donated to the Haiti Missions Fund at First Baptist Church to help feed orphans. 2.) Spread the word– share the links to this blog on your Facebook and Twitter accounts. This is the single best way to help me get the word out about the book. So please take a moment to share it right now. 3.) Pray for the release of the book– that may might sound strange but I earnestly believe that the ideas for this book was given to me by God and that the Spiritual truth that you will find in it can be life changing. Pray for God to use this book in countless numbers of lives. When I was growing up, one of my favorite television shows was The A-Team. There was a character on that show whose name was B. A. Baracus. We learned in the show that the initials B. A. stood for “bad attitude.” No matter what was going on around him, B. A. always had a scowl on his face and appeared to be angry. Whenever he had the chance to offer his opinions, they were always negative. He never gave anyone a compliment nor did he ever think a plan would actually work. He never saw the bright side of any situation; in short, he epitomized what it means to have a bad attitude. We all know someone like B. A. Baracus: someone who exhibits a bad attitude no matter what the situation. Hopefully, however, we also know people who are just the opposite: someone who always seems to have a smile on his or her face and who exhibits a pleasant attitude. Several years ago, I had the privilege of working with a man a named David, who served as my associate pastor when I was pastoring a church in Richmond, Virginia. David is the kind of person who always has an encouraging and uplifting word to say, and every time I gave him a task to complete, he took it on without grumbling or complaining. It seemed that no matter what the situation was around him, David always had a pleasant attitude. Anyone who worked with or encountered David would agree that it was a joy to be around and serve with him. Do you know that kind of person? If you do, then you already know the importance of having a positive attitude. But my goal in this book is to go a step further, to go beyond merely having a good attitude. What I want to show you is how to develop an attitude shaped by the gospel, which, when cultivated over time, will result in a Christlike character. What makes my friend David such a blessing to be around is that he exhibits the character of Jesus in so many ways. But he did not develop this kind of character overnight. Developing a Christlike character is the result of consistently allowing the gospel to shape the way you look at the world and conduct your life. In David’s life, years of cultivating a gospel-shaped attitude have resulted in other people recognizing the character of Christ in his life. 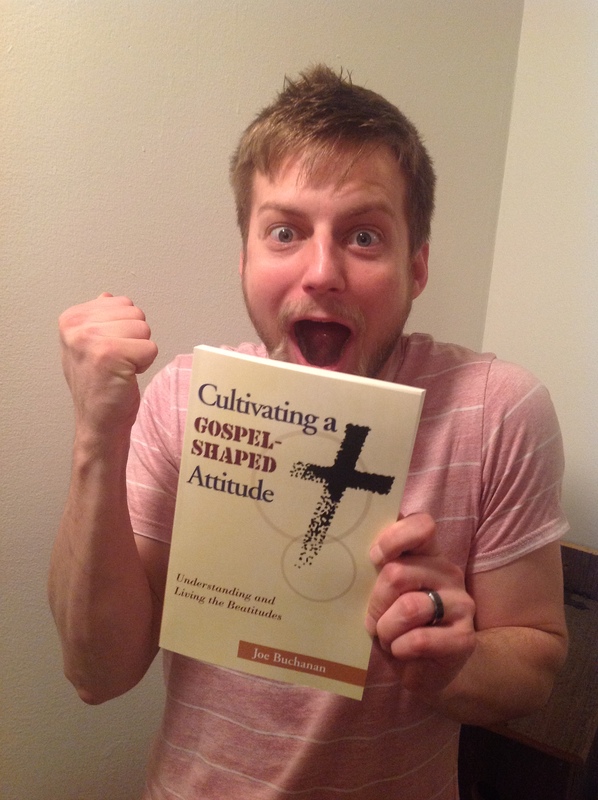 In this book, I want to show you how to develop an attitude shaped by the gospel so that, over time, other people will come to recognize the character of Christ in your life. Our pathway for developing a gospel-shaped attitude is found in Matthew 5:1–11, or as this passage is more commonly called, the Beatitudes. These eight attitudes form the opening section of Jesus’ most famous sermon: the Sermon on the Mount. 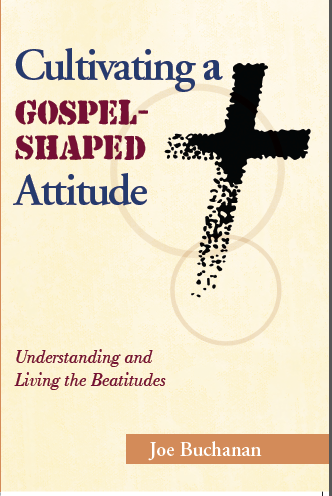 In the subsequent chapters, we will break down the individual beatitudes to discover how each of them is grounded in the character of Christ and the gospel, but for now I want to call your attention to the way in which these attitudes, when cultivated over time, will lead us to a Christlike character. This is Nate, one of my preacher boys who bought the very first copy of the book. 1.) Thompson Chain Reference Bible– There is an amazing number of good study Bibles on the market today but my favorite is still the Thompson’s Chain Reference. There are two reasons I say this: First, the Thompson’s is easy to use. Literally you can learn to use it in about five minutes. Second, it gives you access to the best commentary ever written – The Bible. Rather than giving you lengthy notes, the Thompson’s simply points you to other Scripture passages related to the passage and allows the Scripture to interpret Scripture. 2.) Strong’s Exhaustive Concordance- It may seem simple but this is still one of the best tools for digging into the Scripture. Once you learn how to use the numbering system you will be able to do deeper word studies. This is the single most used tool in my Library besides my Bible. Once you have a good study Bible, make this your second purchase and then learn how to use it. 3.) Holman Bible Dictionary- When reading or studying the Bible you will sometimes come across names of people, places and things that are unfamiliar. When this happens you need a good Bible dictionary to help you. The Holman Bible Dictionary is my favorite go to resource when this happens. 5.) Wayne Grudem’s Systematic Theology- This is a tool that I find myself going back to often. Once I have discovered the theological issues and topics in a passage I will often need additional information. Grudem is my go to resource for these instances. His glossary and subject index are thorough and make this a very accessible volume. Once you have these five books on your desk you are ready to add others and to build your Library throughout your career. Let my close this post with a word about commentaries. You will notice that there are no commentaries listed here. I would strongly suggest assembling these tools before going out and purchasing commentaries, but once the basic tool kit is assembled you will want to start adding some of the best works by Bible commentators. I would suggest buying commentaries on specific books as you preach/teach through various books. So for instance, if you are going to preach/teach through Genesis, go out and find three or four of the best commentaries on Genesis and buy them. As you work through the Scripture continue to build your Library.